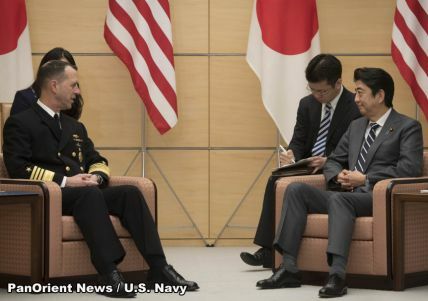 Tokyo- (PanOrient News) The American chief of naval operations, Adm. John Richardson, visited Japanese Prime Minister Shinzo Abe and other top officials in Tokyo this week to discuss increasing global maritime awareness and access to Japan and the surrounding region. 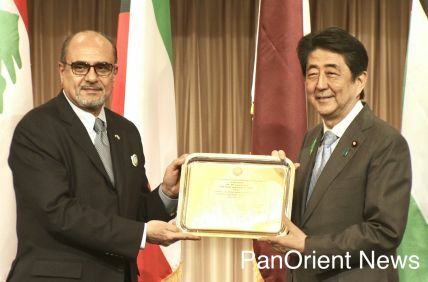 Tokyo- (PanOrient News) U.S. and Japanese warships conducted cooperative deployment in the East China Sea in what has been interpreted as yet another action aimed at sending a message to China that the area is free for the international movement of warships. According to the U.S. Navy, ships assigned to the Wasp Amphibious Ready Group joined an amphibious transport dock ship from the Japan Maritime Self-Defense Force for a cooperative deployment on Jan. 11 and 12.